Item # 308662 Stash Points: 4,195 (?) This is the number of points you get in The Zumiez Stash for purchasing this item. Stash points are redeemable for exclusive rewards only available to Zumiez Stash members. To redeem your points check out the rewards catalog on thestash.zumiez.com. Grab a winning look from Loser Machine in the Alden Navy, White and Brown T-Shirt. 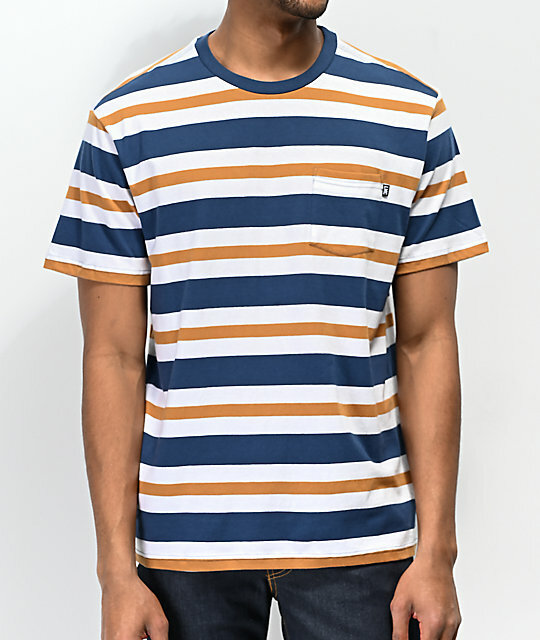 This simple design features navy blue, brown and white horizontal stripes throughout, and a left chest pocket with brand tag attached. 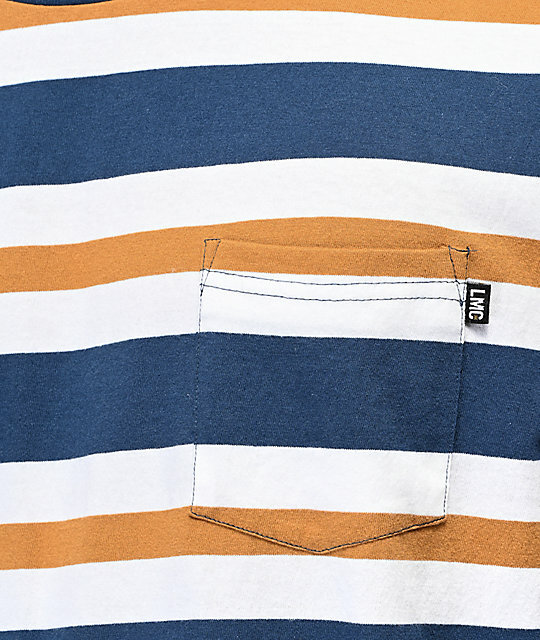 A relaxed fit and soft cotton construction makes for a must-have design from Loser Machine. Alden Navy, White & Brown T-Shirt from Loser Machine. 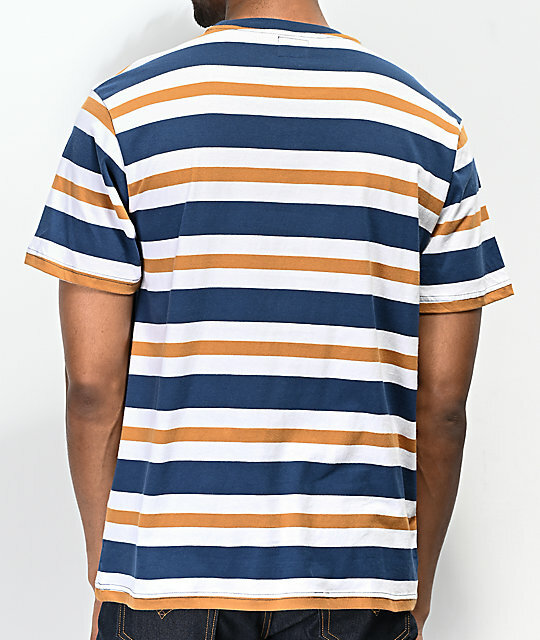 Navy blue, brown, & white horizontal stripes throughout.